Financial services marketing refers to the collective use of marketing tactics employed by marketers in the financial services sector to attract new customers or retain existing ones. If you’re a marketer working in the financial services sector, you probably know how difficult it is to stand out of the crowd. Our customers looking for financial marketing assistance come to us with a wide variety of ideas – some better than others – that they want to experiment with in order to attract new customers or retain existing ones. We’ve put together a list of 9 comprehensive financial marketing techniques that you can employ in 2019. These strategies are implemented by the best and brightest minds in financial marketing across the board. This is the advice we give to all our customers, and, of course, there’s a lot of details that goes into each strategy. But we also believe strongly in helping any financial marketer do their job well, which is why we decided to share our strategies. We recognize that not all financial companies are currently in a position to implement every single tactic detailed below. But we wanted to have a bluebook of excellence when it comes to creating amazing experiences and brilliant marketing techniques that every financial marketer should aspire to in 2019. For a limited time, Digital Authority Partners is offering a FREE content & SEO audit to financial services companies interested in assessing their current brand in order to build a robust content marketing plan for 2019. Interested? Drop us a note at [email protected] or call us at (312) 600-5433 for details. Millennials want to do business with financial companies they trust. Trust comes from establishing a remarkable company culture, building digital experiences young people will use and getting endorsements from well-known celebrities. As a financial institution, there’s one single truth that makes you similar to any company in this field: you’re dealing with people’s money. I don’t know about you, but I don’t even trust my own friends and family with my hard earned cash, never mind a company I’ve not heard of. And I’m not alone! As a result, if you are in charge of the marketing efforts for any financial company out there, the main issue you need to overcome is trust – why should the customer trust you with their pennies. And why you versus all the other financial service products out there? You might be surprised to know that a staggering 92 percent of Millennials don’t trust banks at all. Trust is a hard thing to build no matter your company size and whether you’re a financial advisor, loan issuer, or savings product. Whatever your specialty is, making people trust you is the single most important factor you need to solve for in order to gain new customers. Well, to be frank, we can talk for hours on the various ways we can help you build trust with your audience. But let’s distill it to three major strategies that are tried and true and apply to any aspect of financial marketing. First, from a branding and marketing perspective, you must work with your executive team to define and sharpen your core values. And it’s not just about defining those values. It’s about how you show the world that you mean what you say. For example, a recent study showed how Millennials want to see company values in action, not just hear about them. Company values matter and as a marketer you need to promote those values and show potential customers how you live up to them every day. Second, Millennials and Generation Z’ers are all about engaging with brands via digital channels. So make sure your mobile responsive website and mobile apps (if applicable) look sleek and modern – just like your customers. A recent study in the UK predicts that over 70% of young people will manage their financial lives exclusively via digital channels by 2023. Third, build social proof (more on that below) by working with role models and celebrities who can endorse your product. We live in an age where most young people look up to various social media influencers in order to make the next investment or use the next financial product. Bottomline: In 2019, before you can show any positive ROI for your financial marketing efforts, you need to build a strong foundation based on establishing trust with your potential customers. Young people will trust you if your financial product is in line with their expectations, beliefs and preferences. That includes beautiful and intuitive web/ mobile designs, a clear company culture consumers can identify with and endorsements from their favorite personalities. If you don’t have these three pillars in place, it would become very difficult – and very expensive – to differentiate your financial services marketing campaigns from your competitors. Young people engaging with financial companies are looking for three simple things: exceptional digital experiences, rewards, and convenience. Your marketing message must address these simple needs head on. In addition to establishing trust with your customers, your branding, messaging and tone must be relatable to your target audience. Whether you’re targeting a niche or a much larger market segment, it’s important to relate to your audience and use the media channels and outlets that they’re likely to be using. You wouldn’t market an afterlife financial service the same way that you’d market a college finance based app – so it’s amazing to see that some companies are not creating marketing campaigns that are very specific to the target audience they’re going after. This is the fastest way to lose out on potential customers and fade away into another obsolete platform. At a high level, in order to attract new buyers for a financial product, there are two strategies for relating to your target audience: speak their language & understand what Millennials need to hear – and cater your marketing message towards those needs. Let’s look at each of these two factors in more details. Financial companies don’t really speak the language of the Millennial buyer. Millennials don’t trust banks. They don’t believe in investments and would rather keep their wealth in cash. Most of them don’t even have a credit card. In simpler terms, Millennials can’t relate to traditional financial products. And most marketers in the financial space don’t relate to Millennials. The point is simple: you have a generation that has been profoundly impacted by the economic crisis of 2008. They don’t want to have anything to do with financial products. But ten years later, most financial marketers are promoting their products like the financial crisis never happened. You need to speak their language. You need to explain why your financial products are good for them – why it’s safe and financially responsible for young people to leverage a wide variety of financial tools. Simply put – you need to educate your target audience. Which brings me to my next point: tell Millennials what they want to hear. Bottomline: If you look at these stats you can easily understand what drives Millennials and also the marketing angle you should take to relate to this audience. This data suggests some very simple and actionable insights for any marketer in the financial space to act on. Millennials are driven by exceptional digital experiences, rewards, and convenience. It’s that simple. So cater your messaging towards these three needs of Millennials – and how your products address each one. When 71% of people would rather go to the dentist rather than hearing what financial service companies have to tell them, you don’t blame the dentist – but the messenger. Work with influencers to reach new audiences and make your brand cool. In 2019, the majority of marketers have heard of social media influencers. Whereas a few years ago, some people thought influencers are a passing fad, no one can make that claim anymore. Financial marketing companies should pay even closer attention to influencers than perhaps marketers in any other industry. Managing your financial life – with all its idiosyncrasies, complex financial options, and vernacular is complicated business. 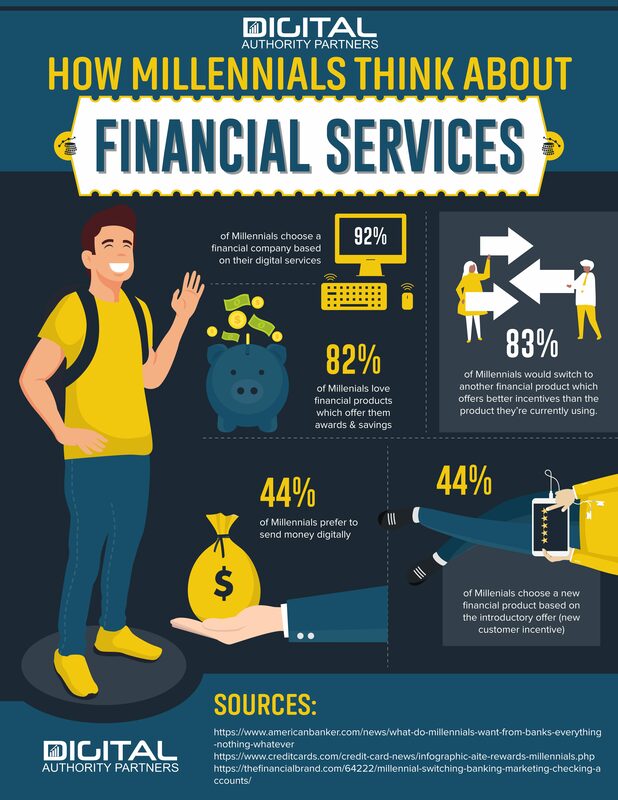 Only 24% of Millenials claim to have a basic understanding of financial concepts. And a recent report shows that 71% of Millennials would rather go to the dentist than listen to financial institutions tell them what to do. It is in light of this complicated and precarious relationship between financial institutions and young consumers, marketers need to resort to alternative channels to get their voice heard. And that’s where influencer programs come into play. When targeting younger people – such as the millennials that feel that banks do not understand their needs – social media channels are a great way to promote brand awareness and build trust. So consider working with influencers to promote your brand message on your behalf. Many financial companies think (or at least hope) that their brand is strong enough that Millennials will interact with them. But they’re wrong. There’s a complete lack of loyalty between consumers and financial products. For example, 1 in 5 Millennials have ditched their bank in the last year alone. Millennials don’t care about big brands – they only care about what their friends do. They care about what their favorite personalities care about. And that’s why you can’t turn a blind eye to influencers anymore. So reach out to social influencers, whether it’s Instagram or YouTube ‘celebrities.’ With some accounts having millions of followers, it’s a sure fire way to make sure that you company gets the exposure that it so desperately needs to survive and grow. Bottomline: don’t fear social influencers, embrace them. In the complicated world of financial well-being, influencers can distill your message and turn it into something relatable. They can help you reach out to millions of dissatisfied Millennials who don’t believe in financial products. They can help you acquire new customers and energize your existing ones. From educational Alexa skills to amazingly actionable blog posts, the financial industry is slowly learning to use content to attract and retain customers. Whether you’re 8 or 88, we’re always learning. That also means that we’re always consuming content that we need to educate ourselves on topics that we may know a little less about. Content is a great way to generate traffic to your site to not only create awareness, but create potential conversions too. Teaching your audience and leaving them better off than when they started an article is so important to build a relationship with them. We all have sites that we trust more than others and our go-to’s when we’re looking for information – even if that site is Wikipedia. Building your site to be a trustworthy name in the search results is infinitely valuable and a great form of media. And just think about it – you got to this article because Google recommended it to you. It’s no different when it comes to getting in front of your own customers. In the financial marketing space, quite a few companies are experimenting with various strategies around content marketing. For example, Liberty Mutual has launched an Alexa skill for their customers to “Receive actionable advice on common home and auto worries.” Amazon, being Amazon, has also launched its own skill for the Amazon credit card where a user can interact with this financial product exclusively through voice. American Express has an entire blog dedicated to how small businesses can get more clients and engage with their consumers more. Point is – content, delivered through a wide variety of channels, can be really powerful. Too many financial services marketing professionals treat their audience as finance expects when customers are not. Choose topics that your target audience are searching for online. Create a content calendar that is in line with both what your customers want to learn but also the online searches that can bring you new qualified customers. This gets your foot in the door with potential customers and lets them know that you’re not only a knowledgeable source, but a proficient company that exists to serve. 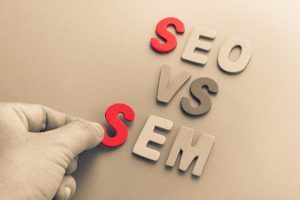 Specific keywords can be found and researched with tools such as Google Keyword or Ahref’s and it’s definitely worth your time finding long tail search terms to maximize your coverage within search engines. Bottomline: Content strategy can be leveraged by finance marketers to get new customers and engage with existing ones. In an age of mistrust in banks and financial institutions, financial companies with stellar content strategies can really become the authority in the field and engage with new and existing users. Optimize your current digital workflows, web copy and content assets. Most customers know a lot less about your business and about finance in general than you think they do. Whether you’re looking to build strategies for financial product marketing or looking to improve your fintech marketing skills – having a consistent brand message is key to success. But more importantly – say what you mean. The financial industry is riddled with jargon that no one outside of the industry can relate to. 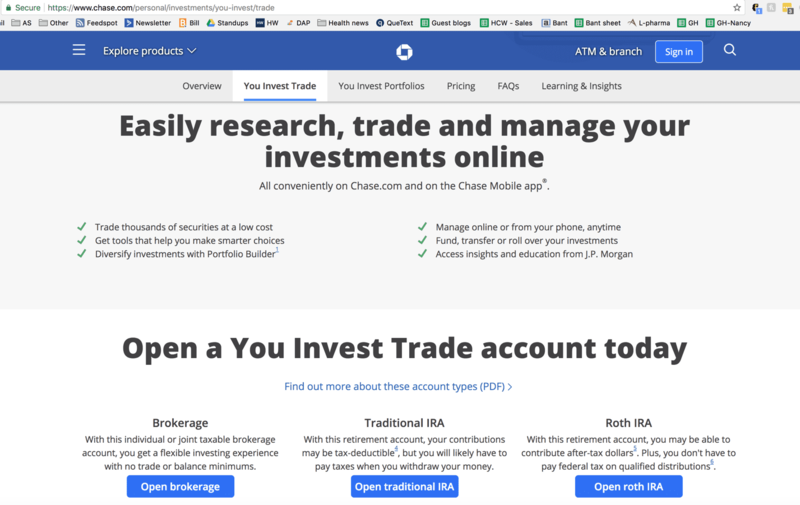 Perhaps, the failure to explain complex financial products to your potential users is best illustrated with a specific example, so let’s look at the Chase landing page for investments. For people with some investment knowledge, the Chase landing page is of course very straightforward. But if you recall the stat I shared above, only 24% of young people (aged 17 to 34) have any understanding of finance whatsoever. Which is why looking at the landing page above showcases how big companies don’t know how to create compelling copy which can be easily understood by people from outside the industry or those with basic understanding of finance. Let’s look at the benefits section above. The real communication struggle on this page is persistent across all section. We’re only going to look at three examples to make the bigger point on why financial companies REALLY need to optimize their workflows and brand copy. If you’re one of the 76% of people who don’t know much about finance, you’ll likely ask yourself: what’s a security? What’s a low cost versus an average cost versus a high cost for security? How “low” is a low cost with Chase? What tools is Chase referring to? How are those different from the competition? How are those tools actually going to help me make good decisions? What a good decision in investment? So… it tells me nothing about the tool, just that there’s a minimum balance I need to have to even access this tool. As we can see, big brands really struggle to turn complex financial examples into digestible information we as lay people can consume and act on. Even when brands try to be brief, much of the financial copy raises more questions – and doubt – than provides at-a-glance answers. Bottomline: If you’re a marketer in the finance space, before you try to attract new customers, make sure all your brand copy and digital workflows are optimized. Your web/ mobile users want to understand exactly what they’re getting themselves into. And as a marketer you need to answer that question right there, on your landing page. Be a thought leader and a marketer. And help everyone understand the value you bring to the table. The key to getting new customers is to build an omni-channel, frictionless user experience. From better messaging, to better UX and better technology, the financial industry must really optimize the end-to-end user experience to wow and delight its customers. So you’ve managed to make customer trust you and your services, build a relationship and make a conversion. What’s next? Now you’ve got to figure out how to optimize your user experience to keep customers happy and make their experience as painless as possible. Allowing for a consistent app and website design based around mobile-first principles is a great way to make sure that everything flows the way it should and remains consistent throughout the experience. Simplicity stands as the most effective way to optimize user experience, so you’ll have to delete those pop-ups from 2006 if you want to create a positive impact. Minimize the amount of outbound links, unnecessary information and have clear calls to action. But user experience is more than just design. As others have noted, progressive financial institutions are adopting a conversational tone in their content and moving away from the stiff, authoritative tone of the old-school marketers in finance. In addition, a great finance design is now more about telling a story through warm colors, rich iconography and compelling copy than about marketing a specific product. Certain marketers in the financial space are now advocating for the adoption of emerging technologies that can optimize the overall user experience of new financial customers. For example, chatbots, a chat function, email support and a phone service are all key elements for customer support. People love options, where one person might be terrified of phone calls and love to chat with a bot, another will think the opposite. Bottomline: the definition of user experience has changed dramatically across all industries over the last decade. And financial service companies are no exception to the rule. So consider adopting a more conversational tone, more modern designs and technologies that are bound to create seamless experiences across all your digital channels. In finance, personalization means you use data to make relevant recommendations to your existing customers and to introduce them to new services your company provides at the right time and price! People love personalization. And so do marketers in finance! 37% of marketers in finance will focus on targeting and personalization in 2019 and that’s not just on a whim. Making sure that your company knows who the customer is and what their needs are is not only a great way to offer more applicable services, but a way to make them feel valued too. Personalization in finance comes in two forms: user specific recommendations and offering your existing customers relevant services in the context of their financial needs. Let’s look at each in more details. Personalized services means just that – personal. For the longest time though, personalization was synonymous with popularity and localization. Think Yelp. You go to Yelp, you look for restaurants and you get a list of popular restaurants in your area. That’s not really personalization. Yelp just shows recommendations based on where you are and what others are funding useful. Personalization in finance means that you’re tracking a user’s behavior in relation to your platform and learn from it to provide specific recommendations that will truly be relevant to that user. Amex, to my knowledge, doesn’t do that. But it should. That would be a powerful example of relevant personalization. It would showcase that Amex knows me and my behavior and it would provide relevant services to me. The second personalization technique that all finance marketers should consider adopting in 2018 relates to other services your company provides. It is 5 to 25 times more expensive to get a new customer than to retain an existing one. Which is why financial marketers should consider how they can introduce new products and services to existing customers and help them make choose your brand over others. So if you’re a credit card issuer, you need to gradually tell your customers if you have a savings program or a mortgage program or any other type of financial product. Tailor your offers to the specific customer to let them get the most out of you – give, give, give to provide the biggest impact within financial services marketing. And you need to crunch massive amounts of data to figure out the right time and place where specific users are likely to decide on expanding their financial lives with new services and products. Bottomline: many marketers in finance intend to invest in personalization. But the road to personalization is not easy. It requires stakeholder alignment, better data, potentially replacing outdated CRMs and databases. And the reality is that marketers need to lead their organizations towards a customer-first brighter future. And it all starts with giving customers what they need, when they need it. Marketers must take the lead to understand how a user’s experience differs from one touch-point to another and advocate for integrated user experiences which allow users to get what they need, at every step, in their customer journey of interacting with your financial product. Learning how your customers navigate through your online and offline channels is a fantastic way to optimize their user journey with your company. 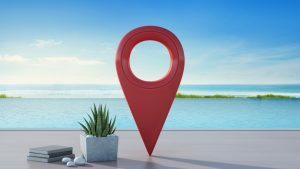 There’s a huge number of variables when it comes to this – if you’re a branch of a banking company (for example) dealing with local customers on a daily basis, you’ll likely want to have a personalized approach where tellers can be at ease, conversational and maybe know the customers by name. 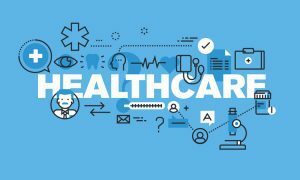 But more importantly, whether customers are at your physical location, contacting you via email, on the web, or via mobile devices – you need to speak with one voice regardless of channel. Creating a smooth user experience has always been a challenge for financial institutions. Most banks ask you to go to a branch for specific tasks. Many financial products have a web experience which is not working on a mobile app. And so on and so forth. This is a challenge because while a financial institution make differentiate between channels, customers don’t. Users expect the same experience across the board. As a result, marketers need to take the lead and understand where processes and experiences break down in the user journey. And they need to alert their internal teams (product managers, IT teams) when that happens. So that solutions can be built which help users have carefree experiences across all channels. Bottomline: Financial marketers will not succeed at retaining customers and getting new ones, if the existing customer journey is broken. They simply won’t. That’s why Millennials are willing to move financial institutions so easily. There’s no loyalty. Financial services companies that make an experience more convenient are preferable to the current status quo. Marketers need to be aware of this and must create seamless experiences across all channels. AI is the future, and the future is now. Financial marketing teams can invest in AI solutions which remove adoption barriers, improve customer satisfaction and attract new users. Last, but by no means least we felt it was necessary to touch on the subject of artificial intelligence and the huge amount of value that it brings to the table. With AI, you don’t have to guess the behavior patterns of your customers, but rather use the insights gathered automatically to make judgements and figure out what’s to do next. Machine learning is great to financial services marketing due to a whole host of prediction methods generating ideas about what users want and how they want specific messages delivered. But for many people, Artificial Intelligence is still an abstract concept. So it’s best we give you some quick examples on how AI can really help financial marketers user today. These are just three examples, and by no means a comprehensive list. AI can be used to predict what services a specific user is likely to be interested in based on their past engagement with your product and financial history. Have your credit card ever been declined at the point of sale because your bank thought your card is being used fraudulently? As it turns out, 90 to 97% of times when that happens, it is a false positive, aka there is no fraud happening, just bad automated fraud alerts banks have put in place. AI can help streamline this embarrassing scenario and improve the overall user experience. AI can provide better customer service through the deployment of chatbots who can perform simple tasks that a customer is interested in. The reality is that the majority of the time when a customer interacts with a financial brand (and, naturally, with the customer service team), those support team look up the answer and quickly relays it to the customer. For these use cases, chatbots are perfectly equipped to give customers instant gratification. These are just a few examples of AI applications in the financial space. But the reality is that for financial marketers, there’s also a bigger point that can be made. Every time your company deploys an AI solution – that’s newsworthy. Companies deploying AI solutions are looking towards the future, helping customers get what they need. And because of that, they get massive amounts of PR. Which is music to the ears of any financial marketers. Bottomline: make it your mission to push your organization towards the adoption of AI technologies. That will have a positive impact on anything you do from a marketing point of view. The job of a financial marketing manager is never easy. In this actionable article, we attempted to talk about nine distinct strategies which can have a positive impact on the overall ROI a financial marketer can measure and see in 2019. Each of these strategies can have both short-term and long-term positive impacts on getting new customers and retaining existing ones. Build trust: Millennials want to do business with financial companies they trust. Trust comes from establishing a remarkable company culture, building digital experiences young people will use and getting endorsements from well-known celebrities. Relate to your target audience Young people engaging with financial companies are looking for three simple things: exceptional digital experiences, rewards and convenience. Your marketing message must address these simple needs head on. Experiment with influencers. When 71% of people would rather go to the dentist rather than hearing what financial service companies have to tell them, you don’t blame the dentist – but the messenger. Work with influencers to reach new audiences and make your brand cool. Use content to educate: From educational Alexa skills to amazingly actionable blog posts, the financial industry is slowly learning to use content to attract and retain customers. Optimize your workflow copy: Optimize your current digital workflows, web copy and content assets. Most customers know a lot less about your products than you think they do. Optimize your digital user experience Build an omni-channel, frictionless user experience. From better messaging, to better UX and better technology, the financial industry must really optimize the end-to-end user experience to wow and delight their customers. Personalize your marketing initiatives In finance, personalization means you use data to make relevant recommendations to your existing customers and to introduce them to new services your company provides at the right time and price! Optimize your customer journey Marketers must take the lead to understand how a user’s experience differs from one touch-point to another and advocate for integrated user experiences which allow users to get what they need, at every step in their customer journey of interacting with your financial product. Use artificial intelligence to wow your customers AI is the future, and the future is now. Financial marketing teams can invest in AI solutions which remove adoption barriers, improve customer satisfaction and attract new users. Which of these financial services marketing techniques will you be experimenting with in 2019?